Ralph T. Lofton Jr. accepted Jesus Christ at the age of 6. God anointed Ralph with the ability to play at the age of nine years old in the Historic First Baptist Church Beale Street (Memphis, Tennessee.) His first instrument was the piano and the first song he ever played was “Jesus Keep Me Near The Cross” during Sunday School. He soon developed a love for the organ and used his playing ability to assist ministries and musical groups within Memphis, a few of which he was the founder and director. Ralph was music Director for the Mt. Vernon Baptist Church (Memphis,TN) from 1977 until 1984. In 1984, he moved to Nashville, Tennessee to pursue his music career. Shortly after his arrival, Ralph began playing for Corinthian Baptist Church (Rev. Enoch Fuzz) and worked a few odd jobs while becoming acquainted with the music industry. In God's perfect time, Ralph was introduced to Dr. Bobby Jones and his music director, Derrick Lee. In 1986, he auditioned and was hired as a musician for the Bobby Jones Gospel Show on the Black Entertainment Television Network (BET). He served in that capacity for over ten years. Through this entity, God blessed Lofton to further use his music ministry by playing for numerous recording projects. In 1989, he was hired to tour with Bebe and Cece Winans. This tour would take him half way around the world (as far as Siberia.) Lofton has also been blessed to make guest appearances on the TV shows of such stars as Arsenio Hall, Pat Sajak, Regis & Kathy Lee, Jay Leno, and David Letterman (to name a few.) He has accompanied such world-renowned artists as Whitney Houston, Little Richard, Aretha Franklin, the late Luther Vandross, Stevie Wonder and has appeared on stage and on the recordings with over 100 gospel artists. One could just about pick any gospel CD out of their collection and find his name listed under the musical credits. As a songwriter, he has written songs for such artists as Bobby Jones and New Life, Beverly Crawford, Rev. Clifton Davis (Actor/Minister), and Rev. Lawrence Thomison. Lofton has also traveled & recorded with renowned jazz saxophonist, Kirk Whalum. He performed with musical greats including bassist Michael Manson, vocalist Kevin Whalum, guitarist Kevin Turner, drummer Sean McCurley, and keyboardists Michael Logan, Takana Miyamoto, and John Stoddart. Ralph has several gold records and citations to his credit. The 1998 Stellar Awards featured one of Mr. Lofton's compositions as their theme music. Between 2001and 2004, Ralph recorded 7 CD projects with a diversely talented group of musicians called the Quiet Time Players now known as M-7. This group consisted of drummer Terry Baker, bassist Simeon Baker, guitarist Jonathan DuBose, Jr., guitarist Charles “Al” Willis, keyboardist Derrick Jackson, and saxophonist Donald Hayes. Mr. Lofton has also recorded multiple projects with the Williams Brother and has been traveling with them since 2009. In addition to his travels, he recently completed 2 live recordings with Vicki Yohe and has been involved in various local recording sessions. He also conducts music and worship seminars upon request. publishing entities, a record label, the future school of the arts, and a consulting firm. 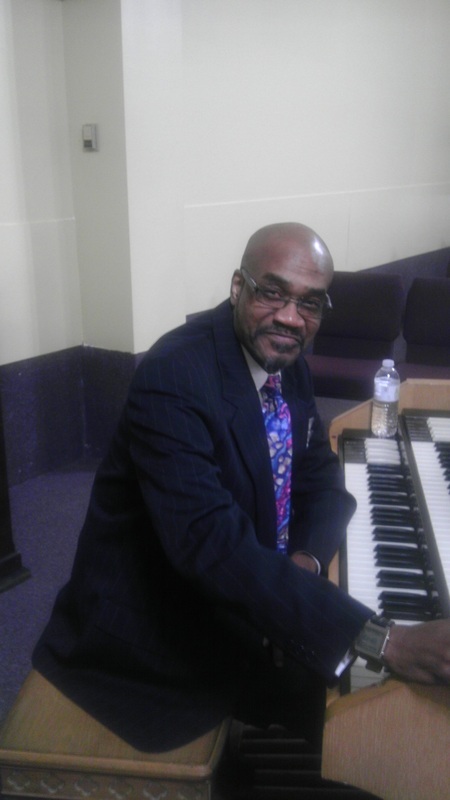 His current partnership with Duration Music Group, owned by Joseph R. Washington, Jr., has birthed an instructional organ DVD entitled "The Art And Fundamental Basics Of The Hammond Organ", a CD entitled "I TELL YOU YES" (featuring a mixture of instrumental gospel, smooth jazz, and some harmonic vocal presentations,) His follow-up project titled, “ALL OF ME” and a holiday project titled, “THE JOY OF CHRISTMAS.” Ralph is currently working on his newest CD project titled, “I STILL BELIEVE” which has already released 2 singles. Ralph is married to Ceesha Wilson-Lofton and has two adult sons, RaShun and Deon, one teenage daughter, Aria, and two pre-teens, Shekinah and Brian. He is a dedicated husband and a wonderful father who takes great pride in ministering within his home and taking care of his family. Ralph T. Lofton, Jr. loves GOD and is committed to serving the Kingdom. He mentors young musicians while challenging them to develop their talents and give them back to GOD unconditionally. Ralph’s future is pregnant with possibilities and he is looking forward to what GOD has in store. "Take delight in the Lord, and He will give you your heart's desires. Want to leave a message for Ralph Lofton, Jr.? We'll post your comments right here! -Ralph Lofton's music is anointed genius!